You’re driving on Interstate 80 and spot an exit sign for a place called Mote. You wonder—what the heck is Mote? Or Toulon (pictured above)? Or Valmy? In fact, as you drive you notice that there are a bunch of names on exit signs along the interstate that identify places that don’t seem to amount to much. Not surprisingly, there is a story behind nearly every one of those names (except, it seems, for Mote, which apparently is little more than one). For instance, head east of Fernley and you can encounter one of the first of these phantom sidings, at the intersection marked Nightingale (about 17 miles from Fernley). At first glance, it appears to consist of a small geothermal plant. But closer study indicates that in addition to being the location of a geothermal food processing facility, Nightingale was once a stop on the Emigrant Trail. In the 1840s, emigrants discovered the hot springs located in this valley. Originally called “Boiling Springs,” the spot offered the only water within 20 miles (it was cooled and, despite being salty and brackish, used by early pioneers). Later, the place was called Brady’s Hot Springs and became the location of a popular resort that featured a warm water swimming pool. The name “Nightingale,” which is associated with the spot today, can be traced to a former mining town once located about 21 miles north. In 1917, tungsten deposits were discovered in the Nightingale Range to the north of I-80. A small camp named after the mountains cropped up at the site. but, after about a decade, faded away. The Nightingale Range was named in honor of Captain Alanson W. Nightengill (the name was corrupted on state maps), the first State Controller and a survivor of the 1860 Pyramid Lake Indian War. Twelve miles east is the exit sign for Jessup. While little is located there today, Jessup was another short-lived mining town, located 4 miles north of the present intersection with I-80. Gold was discovered in Jessup in 1908, and within a few months nearly 300 people had settled in this remote camp. The boom was over by the end of 1909 and the town melted back into the desert. Another 12 miles farther is the turn-off for Toulon. 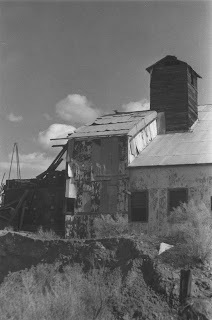 Unlike most other mining sites, the original mill is still standing here—it’s the large, two-story metal building adjacent to the railroad tracks. Toulon, which appears to have been named for a French seaport (although why a spot in the desert is named after a seaport remains a mystery), was founded in 1917 following construction of a large mill to treat tungsten, gold and silver ore mined at Nightingale. The mill was used sporadically over the years. The impressive ruins are located on private property and the owners are extremely protective of the site. Ask before stepping onto the property or take photos from the road. The next orphan exit is located 14 miles east of Lovelock at Oreana. In the 1880s, the Southern Pacific Railroad developed a sidetrack and small station at this site. In 1912, with the discovery of rich gold and silver deposits in nearby Rochester, Oreana boomed and soon had several stores, saloons, a large hotel and a depot. A year later, the Nevada Short Line Railway was built to connect Rochester with Oreana. Rochester’s mines began to decline after 1917 and Oreana quietly slipped into obscurity. By the mid-1920s, its last businesses closed. Today, foundations and a few wooden houses are the only survivors. Rochester, located 10 miles southeast, is a ghost town with several headframes, a decaying mill and a handful of other buildings. Another 16 miles down the interstate brings you to the Humboldt exit. While today Humboldt seems to consist of a roadside rest stop, a few small ranches and a grove of huge poplars and cottonwoods, the site originally was a stagecoach stop. In 1868, the Central Pacific Railroad built the Humboldt House there, which served as an inn and meal stop for train passengers traveling across Nevada. The presence of good water allowed the railroad to develop a kind of oasis in the desert with shade trees, flower and vegetable gardens, and fruit orchards. The need for Humboldt House disappeared after the 1890s when the railroad introduced dining cars. The inn operated as a roadside stop for several more decades before closing in the 1940s. More about other I-80 place names next time. You know the train is coming to Gold Hill long before you see it. It lets out a loud, throaty whistle and a cloud of smoke appears over the hill above the community—the signal that the Virginia and Truckee train is beginning its descent into the historic mining town. The locomotive stops near the old Gold Hill Depot for passengers to disembark. For most of the last 130 years, V&T trains have been dropping people off here. The former mining town of Gold Hill shares a similar history with Virginia City. In the late 1850s, both were the location of gold and silver discoveries that became part of the fabulous Comstock Lode. Historians believe that Gold Hill was established in about 1859, initially as little more than a few dozen miners camping under trees, in tents, and in crude shacks. But within a few years, Gold Hill rivaled Virginia City in size and population. By the early 1870s, the town claimed 8,000 residents as well as one of the most well known newspapers in the state, "The Gold Hill News." 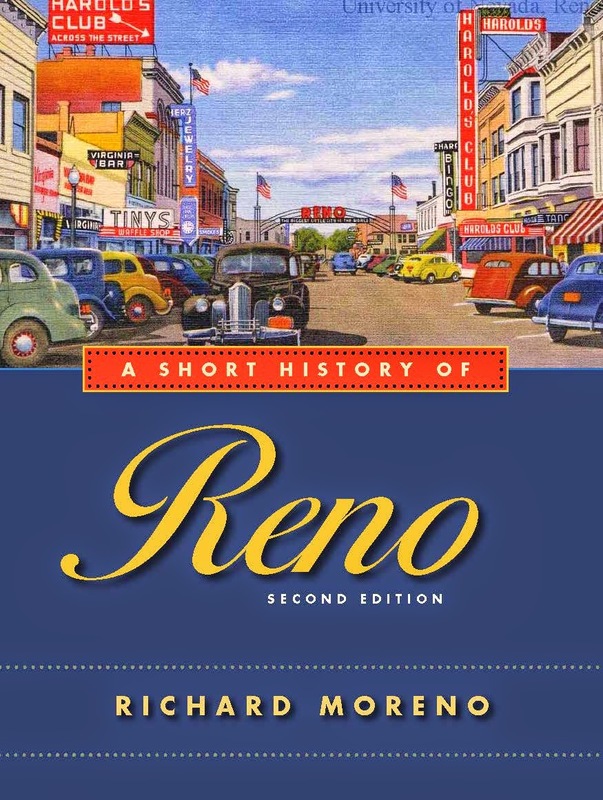 It had schools, several fire companies, banks, churches, a post office, a town hall, and was an important stop on the V & T Railroad line, which eventually stretched from Virginia City to Reno. As with Virginia City, Gold Hill’s decline began in the late 1870s when the mines were played out. By 1882, the newspaper had closed (it moved to Idaho), and the people gradually drifted away. By 1943, Gold Hill couldn’t support a post office. While much of Gold Hill has disappeared over the years—the buildings were generally victims of fires, neglect, and removal—enough remains to offer an interesting historic walking tour of this once-thriving mining town. The old V & T Depot, for example, still sits on a flat near the north end of the canyon. The wooden board and batten frame building, constructed in 1872, was used until the Virginia City portion of the V & T ceased operating in the late 1930s. In recent years, the depot has been partially restored and serves as the ticket office for the revived V & T Railroad. Down the canyon from the V & T Depot is the former Bank of California building, which dates back to 1862. The red brick and stone structure is one of the few surviving commercial buildings from Gold Hill’s early days. The bank building was originally the home of the Gold Hill Bank, and then was purchased in 1873 by William Sharon to become part of his Bank of California. 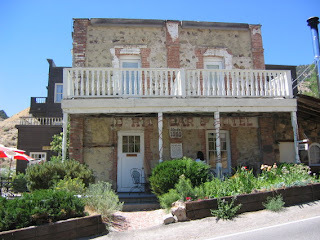 In 1879, the Bank of California moved to Virginia City and since then the building has housed a variety of businesses including a pool hall and art gallery. Next door to the bank is the Gold Hill Hotel, the oldest hotel in the state. The original stone structure—the front part of the building—was constructed in 1859. The two-story wooden section, to the rear, is a newer addition built about two decades ago. Up the hill from the hotel are the picturesque remains of the Yellow Jacket Mine incline shaft and headframe, built in 1937. The warped, wooden chutes leading down the hill once carried ore from the headframe at the shaft at the top. Adjacent to the hotel is the Crown Point Mill, constructed when the area's mines were reworked in the 1930s. Built in 1935, the mill processed ore from the Yellow Jacket and Crown Point mines. The main buildings have been maintained over the years. Across State Route 341 from the Crown Point Mill are the Lynch House, a white Victorian on the highway, and the Pink House, a very pink-colored Victorian on the hillside above, which was once a very fashionable neighborhood in Gold Hill. The Lynch home was built in 1869 by a state legislator while the Pink House was constructed in the 1860s for a nephew of U.S. Senator John P. Jones, who served as Nevada’s Congressional representative from 1873 to 1903. Both are private residences. Next door to the Lynch place are the green-colored stone foundations of the Rhode Island Mill. Dating to 1862, the mill was one of the first stamp mills in Gold Hill. Of course, throughout Gold Hill you can still find a handful of long-abandoned mining shacks and ruins, which provide an idea of the modest existences of most of the town’s miner-residents. Two significant headframes mark the southern boundary of Gold Hill and the next town downhill, which is Silver City. 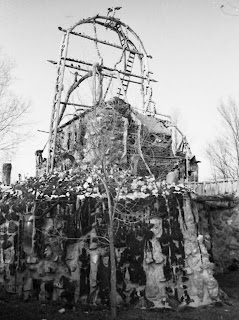 The first, an impressive metal skeleton on the hill above the road (there is a mine shaft at the base of the hill) is part of the New York Mine and was built in 1913. The other, located about a quarter-mile south, is the Keystone headframe. This wooden structure, surrounded by a metal fence, was built in the late 19th century and is considered one of the best remaining examples of the type of mining equipment once common throughout the Comstock. Gold Hill is located about 20 miles northeast of Carson City via U.S. Highway 50 and State Route 341. For more information check out the Gold Hill Hotel’s web site at http://www.goldhillhotel.net/.